Ryan Quinn as “Valentine” and Corey Sorenson as “Proteus” in The Old Globe’s Summer Shakespeare Festival production of The Two Gentleman of Verona, by William Shakespeare, directed by Darko Tresnjak, in the Lowell Davies Festival Theatre June 16 through September 30; Photo by Craig Schwartz. (l-r) Stephanie Fieger, Ryan Quinn, Corey Sorenson and Joy Farmer-Clary in The Old Globe’s Summer Shakespeare Festival production of The Two Gentleman of Verona, by William Shakespeare, directed by Darko Tresnjak, in the Lowell Davies Festival Theatre June 16 through September 30 Photo by Craig Schwartz. 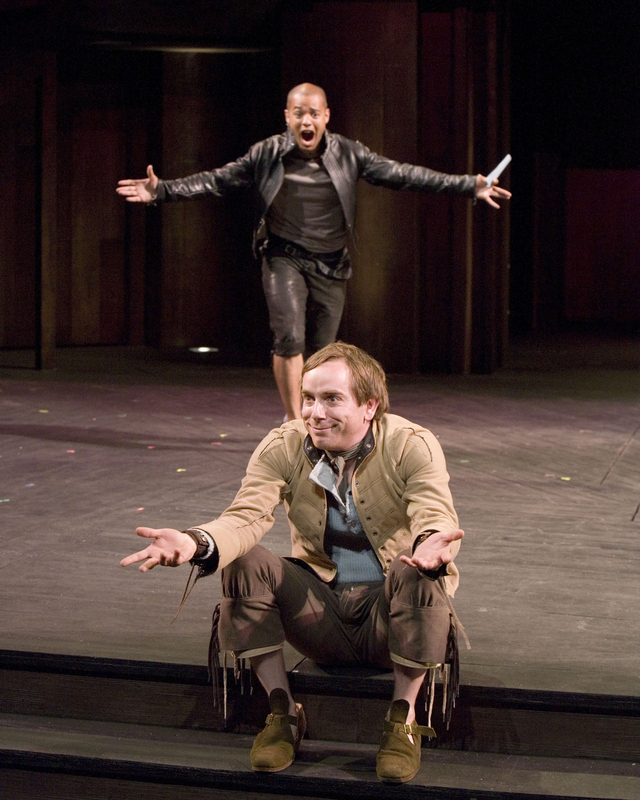 Sam Breslin Wright (front) as “Speed” and Ryan Quinn as “Valentine” in The Old Globe’s Summer Shakespeare Festival production of Two Gentleman of Verona, by William Shakespeare, directed by Darko Tresnjak, in the Lowell Davies Festival Theatre June 16 through September 30 Photo by Craig Schwartz. 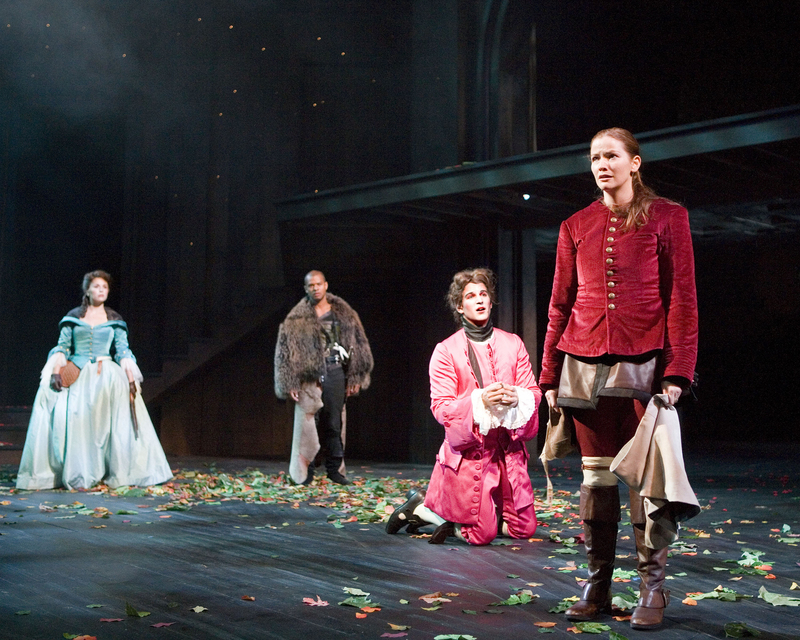 Stephanie Fieger as “Silvia,” Corey Sorenson (kneeling) as “Proteus” and Ryan Quinn as “Valentine” in The Old Globe’s Summer Shakespeare Festival production of The Two Gentlemen of Verona, by William Shakespeare, directed by Darko Tresnjak, in the Lowell Davies Festival Theatre June 16 through September 30;. 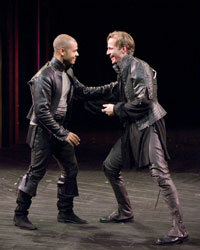 Photo by Craig Schwartz. 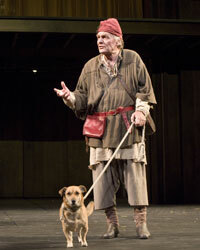 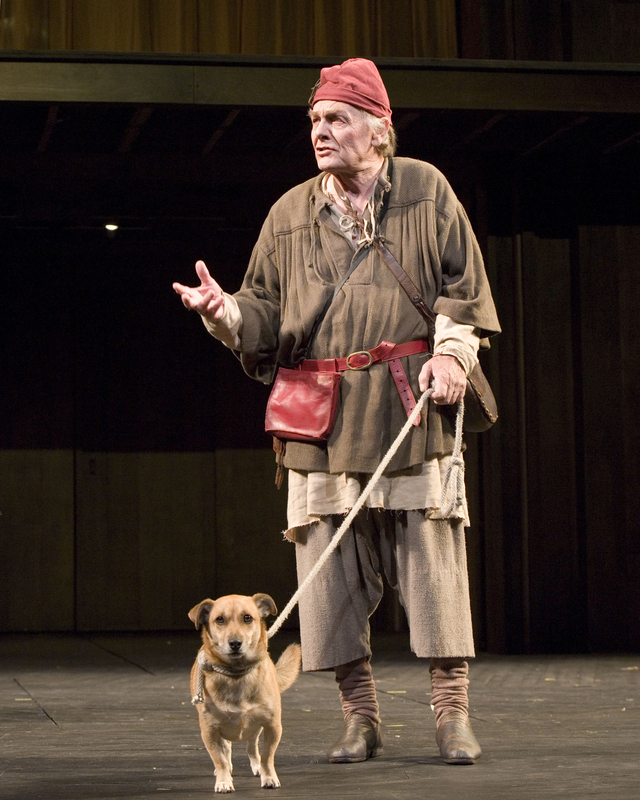 Globe Associate Artist Jonathan McMurtry as “Launce” with Jackson as “Crab the Dog” in The Old Globe’s Summer Shakespeare Festival production of Two Gentleman of Verona, by William Shakespeare, directed by Darko Tresnjak, in the Lowell Davies Festival Theatre June 16 through September 30. 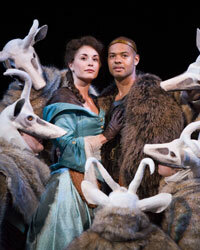 Photo by Craig Schwartz. Stephanie Fieger as “Silvia” and Ryan Quinn as “Valentine” in The Old Globe’s Summer Shakespeare Festival production of The Two Gentleman of Verona by William Shakespeare, directed by Darko Tresnjak, in the Lowell Davies Festival Theatre June 16 through September 30; Photo by Craig Schwartz.